LSV’s Sink or Swim program teaches students about water safety from the expertise of a surf lifesaver. This interactive 1-hour program empowers students of all ages to keep themselves and others safe in a range of aquatic environments including, beaches, rivers, lakes, pools and the home, through engaging practical activities. Sink or Swim will enhance your school’s water safety program or prepare your students for upcoming aquatic recreation excursions and camps. The program aligns to the Victorian Curriculum and is supported by free online resources and cross-curriculum lesson plans for Foundation (Prep) to Year 10 CLICK HERE to download. The Sink or Swim program was awarded Education State Winner at the 2013 Resilient Australia Awards. $291.00 minimum flat fee for one session, please contact us for a quote. During Term 4, the Sink or Swim program tours regional Victorian communities deemed ‘at-risk’ for drowning incidents. 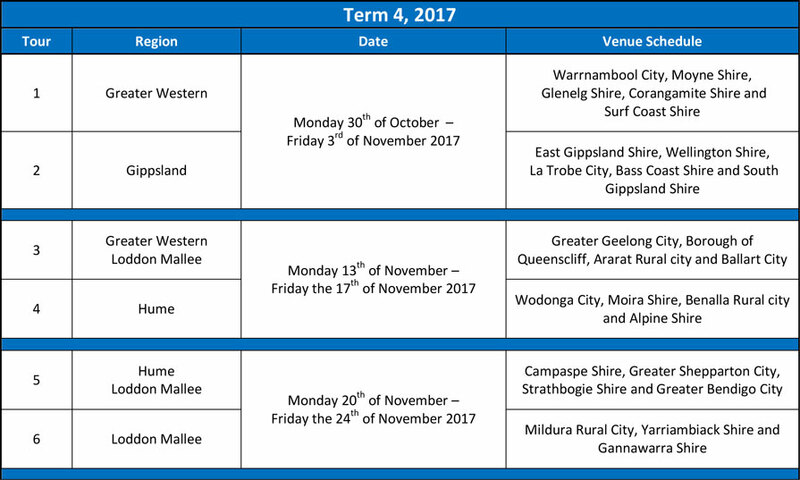 The program in these regions is provided at no cost to schools and is promoting the ‘Respect the River’ campaign, with support from RLSSA and the Federal Government’s Inland Waterways Drowning Prevention Fund. Further support is provided from the State Government’s Play it Safe by the Water campaign.